Performs responsible accounting and payroll functions for the company. Receive and review contracts from various locations for sales of services and merchandise. Utilizes computerized accounting software programs (Quick Books Enterprise) to perform duties and responsibilities. Research cash receipts, coding and posting of receipts. Operates office equipment including personal computer, copier, fax machine and 10 key calculator. Receive and review invoices from vendors. Assist with auditing and processing credit card bills. Enter data to compute and post wages. Assist other departments and employees as assigned or needed. High School Diploma or GED certification required and a minimum of four years related experience which includes two years of accounting and/or payroll experience, or any equivalent combination of education and experience. Requires the ability to deal with privileged information in a confidential manner. Ability to perform multiple functions in a fast-paced environment, and deal with strict deadlines. Computer proficiency, with accurate results, and effectively use typical office software (word processing, spreadsheet, database, QuickBooks, etc.). Requires attention to detail, strong problem solving abilities, and business math skills. Excellent interpersonal, communication skills, business and organizational skills required. Knowledge of administrative and clerical procedures and systems such as computer, word processing, managing files and records, and other office procedures and terminology. Knowledge of the principles and techniques of business principles. Knowledge of the principles of general office work, including forms, supplies, equipment, and procedures relating to filing, record keeping, correspondence, mail, procurement, stock keeping, and duplicating. Knowledge of pertinent rules and regulations, policies and procedures. Ability to follow oral and written instruction. Ability to solve problems and make decisions. Ability to communicate effectively orally and in writing as appropriate. Ability to respond to requests and inquiries from the employees, managers, vendors and general public. Ability to establish, maintain, and foster positive and harmonious working relationships with those contacted in the course of work. Florida Driver’s License, or ability to obtain. Work hours may include evenings, weekends and holiday time. Notary Public, or ability to obtain. Employee in this position will be subject to the company’s policies and procedures, including the drug free workplace policy. The Administrative Coordinator (Business Office) utilizes general office equipment (computer, internet, software, fax, copier, etc.). The physical demands described here are representative of those that must be met by an employee to successfully perform the essential functions of this job. Reasonable accommodations may be made to enable individuals with disabilities to perform the essential functions. The employee frequently is required to sit, stand, walk; and use hands and talk or hear. The employee may assist in lifting and/or moving up to 25 pounds. Specific vision abilities required by this job include close vision, distance vision, color vision, peripheral vision, depth perception and the ability to adjust focus. Work environment characteristics described here are representative of those an employee encounters while performing essential functions of this job. Reasonable accommodations may be made to enable individuals with disabilities to perform the essential functions. The Administrative Coordinator (Business Office) may be required to work evenings, weekends and holidays. This job is performed in a regular office setting. Formal application; rating of education and experience; oral interview; reference check; if applicable, job related tests; background check; drug screening; final selection and pre-employment medical examination may be required. Appointees subject to completion of probationary/training period. Duties listed above are intended only as illustrations of the various types of work performed. Omission of specific duties does not exclude them from the position if the work is similar, related or a logical assignment to the position. This job description does not constitute an employment agreement between the employer and employee and is subject to change by the employer as the needs of the employer and requirements of the job change. 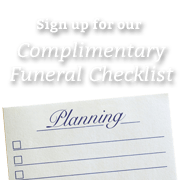 Forest Meadows Funeral Home & Cemeteries is an Equal Opportunity Employer. In compliance with the Americans with Disabilities Act, the Company will provide reasonable accommodations to qualified individuals with disabilities and encourages employees and prospective employees to discuss needed accommodations with the appropriate Company representative.